A new Mediterranean spot has opened its doors in the neighborhood. The fresh arrival to SoMa, called Falafelland, is located at 133 Sixth St.
Now open in the former Foodie deli space, Falafelland specializes in traditional Yemeni cuisine and Mediterranean fusion, though its menu is more expansive than its name suggests. 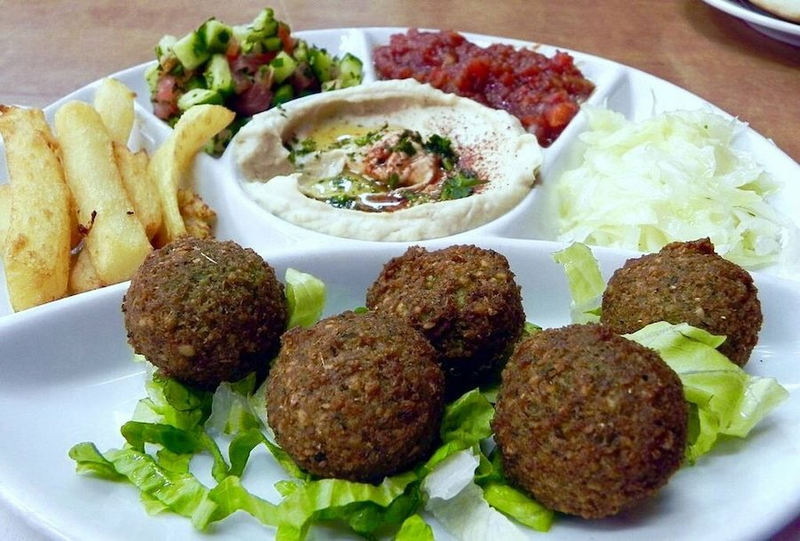 Expect to see dishes, like lamb, chicken or vegetarian kabsa, a rice dish with Yemeni origins; falafel flakes with rice, salad and cooked veggies; falafel salad and daily rotating housemade stews. Falafelland has gotten an enthusiastic response thus far, with a five-star rating out of six reviews on Yelp. Eric T., who was among the first Yelpers to review the new spot on January 29, wrote, "Come here for an authentic and tasty meal. I wandered in expecting to get an ordinary falafel wrap but the owner, Billy, convinced me to try some traditional Yemeni food." And Neerav J. wrote, "Amazingly good, and Billy is an amazing person! The food and chai are both very nice, and good place to go for lunch to sit down and eat." Falafelland is now open at 133 Sixth St., so head on over to check it out.